Being selected to compete on Food Network’s Chopped does not just happen by being a highly acclaimed chef. There are several factors that play into becoming a contestant on the nationally viewed show. Personality. TV is not made for non-moving, quiet natured people. In order to be attractive to television producers, you have to show them your best right from the start. It has to come through in your writing when submitting your application, and also in your first phone call with the producers. A Signature Look. If you make it past the first and second round, you will be invited to meet the producers in person. You want to make an impression with something that makes you stand out. You don’t want to be obnoxious but you want to be a unique individual. Our own Executive Sous Chef is known for her bright red glasses. This distinct look matched her spunky personality which created a full package for the show. Your story. If you watch the show, you know that the judges are always inspired by the contestant’s stories of why they are competing, what got them to where they are, and what they would do if they won the money from the show. Before submitting your application, take the time to think of what inspired you in your path as it will most likely also inspire the producers! Overall, you also want to make sure that your company’s website reflects what you are saying that your restaurant or catering business specializes in. It doesn’t hurt to do a google search on yourself as well and make sure that your social media profiles are up to date and showcase the accomplishments that you have achieved in the food industry during your career. 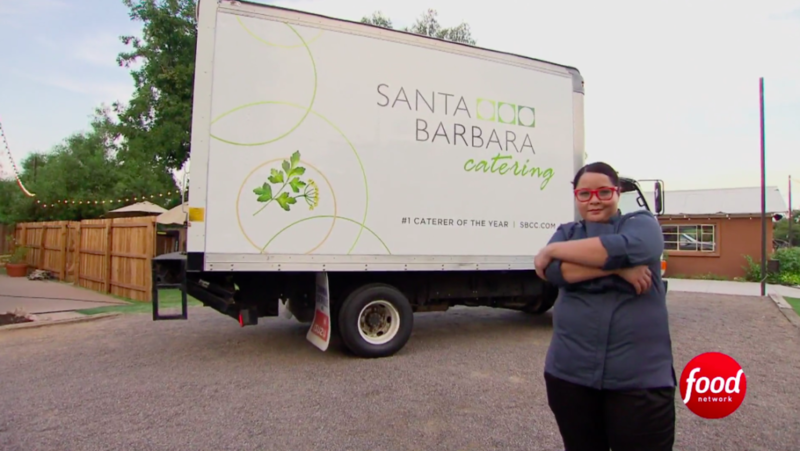 When Artisan by Artisan by Santa Barbara Catering Executive Sous Chef, Marissa Delgado, found out that she was going to be on Food Network’s Chopped, she enlisted in the help of the Phoenix based team to help her to prepare for this national television debut. Practice Your Knife Skills. If you watch episodes of Chopped, you never know what type of protein you will be asked to butcher. Make sure that you practice your butchering skills. Before you head to the competition filming, Chef Marissa suggests that you use a local knife house to sharpen your set of knives. In Phoenix, Chef Marissa recommends Phoenix Knife House. Understand The Timing of the Competition. 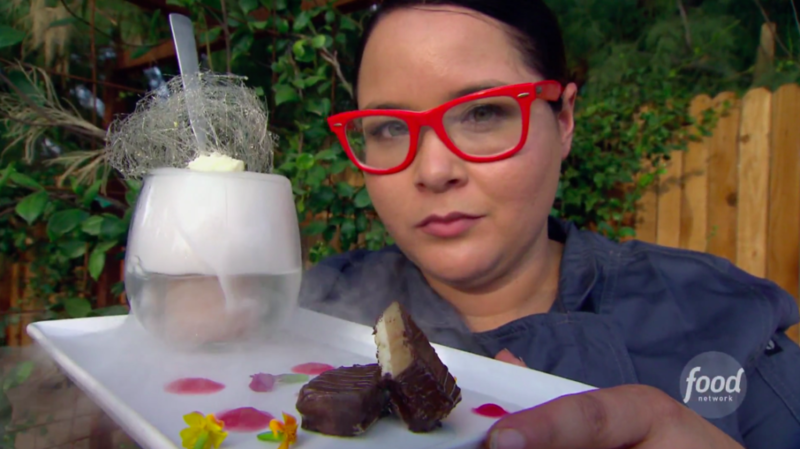 Each round in the Chopped episodes has a time limit, typically 20 minutes for Appetizer, and 30 minutes each for Entrée and Dessert. Have your co-workers or family shop for unique ingredients that don’t normally go together and time your practice rounds. 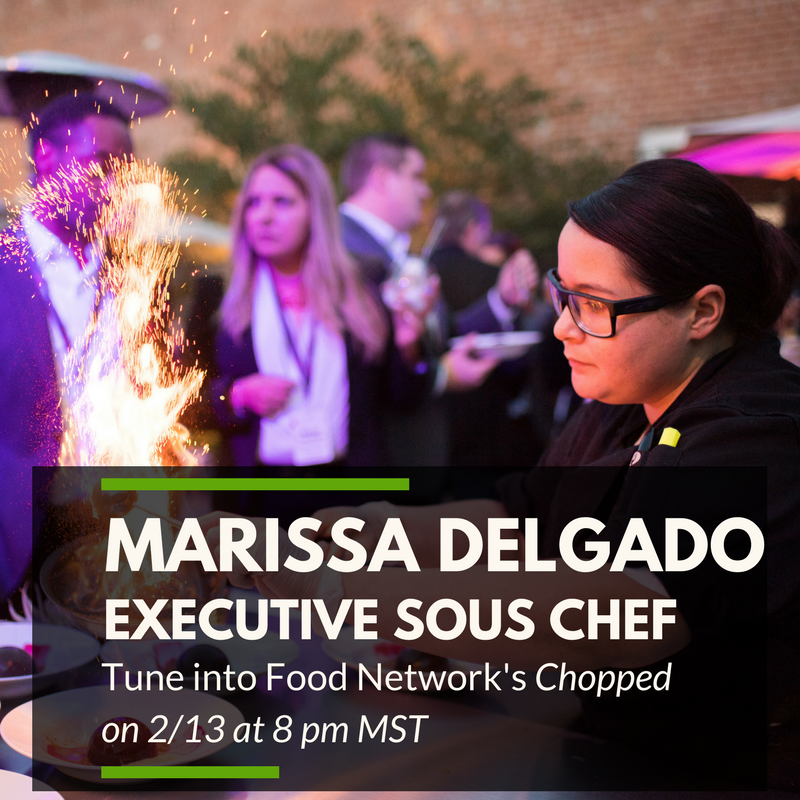 Chef Marissa practiced each week before she flew to New York for the actual competition so that she was comfortable being given surprise items and having to think on her feet while cooking a delicious dish. Research the Chopped Judges. There are several high profile chef judges on Food Network’s Chopped that consistently appear on the show. Each has their distinct flavor profiles that they specialize in, so (for example) be sure if you go in an Italian direction with a dish that it should be cooked authentically. Another thing to avoid is using ingredients that the Chopped judges despise! You can see an entire list of The Chopped Judges’ Most-Hated Ingredients on Food Network’s website. The Filming Process. 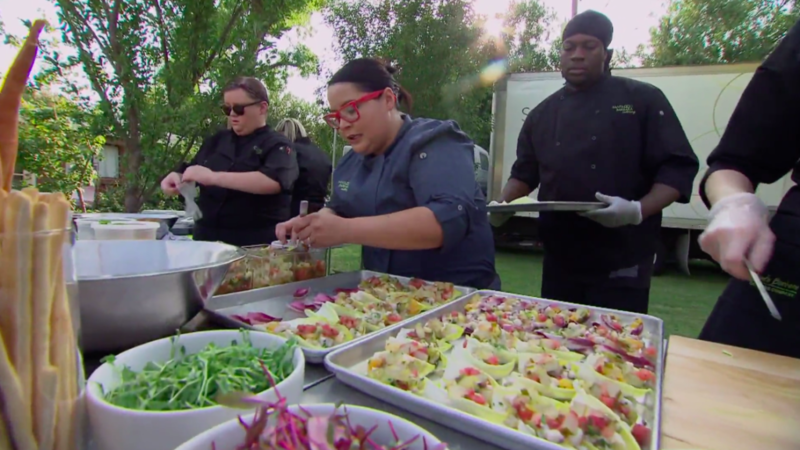 For the first round of filming, the Chopped production crew comes to your restaurant to film. You will need at least 6 hours of undivided attention for them to film your bio package. Be prepared to shut down your restaurant if needed or have someone cover for you as you will be filming for many hours. Artisan by Artisan by Santa Barbara Catering is sister companies with The Farm at South Mountain and was able to set up at this Phoenix venue space so that the Artisan by SBC catering kitchen did not have to delay any production. The second round of filming is the actual competition in New York. The filming location is secret so the contestants are told to all meet before sunrise at a random fast-food location. You are then transported by the show’s crew to the filming location. If you are not eliminated in the earlier rounds, you can expect to be at the set until at least 9:00 p.m. Chef Marissa also mentioned that after each round there was lots of time in between the cooking and the judging portion. Be aware that if you make a sauce, it can possibly sit out for hours and congeal. However, if you make something that is frozen, the crew will keep it frozen until it is going to be judged. This can also hurt you if you did not want something fully frozen. Overall, be prepared for a waiting game on the day of filming. It is emotionally and physically draining to film for a full day so mentally prepare yourself before the big day! After filming, you are sworn to secrecy on the outcome of the episode. This is the hardest part for the contestants. You and your business are also not allowed to talk about being involved with the show until the production company contacts you and let’s you know when your episode will be airing. When the production company gives you the go to talk about being on Food Network’s Chopped, there are several ways that you can let people know about this exciting news. Take Some Fun Photos. You are not given any images or videos from the Chopped episode, so having some fun pictures of yourself to promote you being on the show is ideal. Marissa wore her fun, red glasses on the episode, so she wore these for the promotional images. Post on Social Media. Use your already existing fan base to help spread the word about your national television appearance. If you want to involve the community even further, create a Facebook event invite and throw a viewing party at your restaurant or venue. Tell Your Local Media. Food Network does not allow you to send out a press release about being on the episode, however you are allowed to alert local media. Send to your local newspapers, TV stations and food bloggers so that your city knows that they will be represented on this national TV show. Following all of the above tips will help you to not only be selected on Food Network’s Chopped, but also to hopefully make it to the final round in the episode that you are cast on.